« A Happy Birthday from Hobo Divine! On Location: Our All Nighter Figure Skating Shoot! 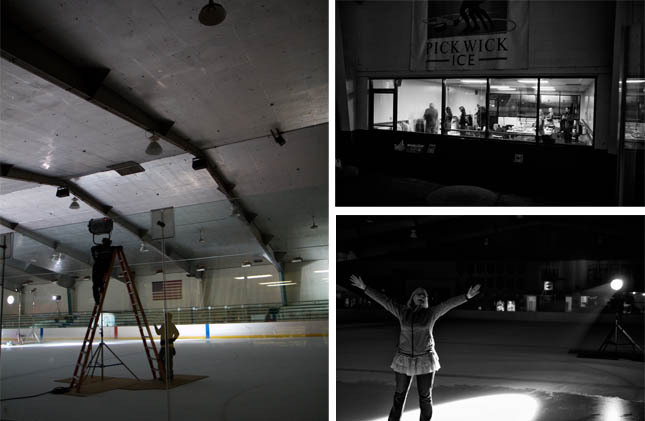 Several months ago we posted a flyer up at the Pickwick Gardens skating rink in Burbank, looking for a pair of professional figure skaters to show us their stuff and hopefully put on an impressive display for a new ‘Starring You’ video. Boy did we luck out! Soon after our posting, we were contacted by Lloyd Eisler, two time Olympic medalist and 1993 World Champion figure skater, expressing his interest in the project and offering to bring in 2007 U.S. Adult pairs champion Choeleen Loundagin. The pair had been training to compete together at the 2010 U.S. Adult championships and happened to be available. Incredible! 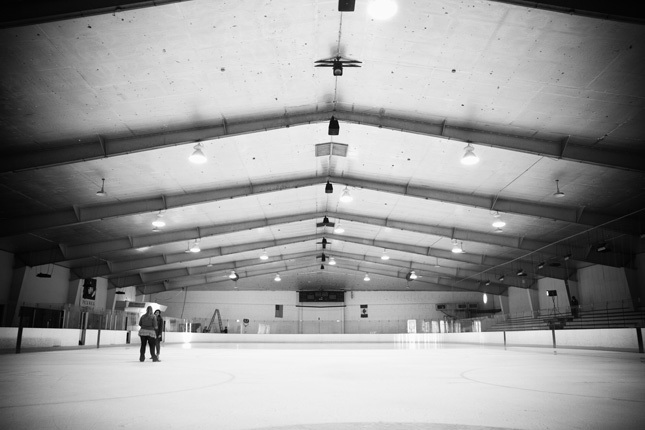 We took over the rink on a late October night after the facility had officially closed and shot footage all through the night until the break of dawn. There were a few close calls while carting our video equipment onto the slippery ice, but we can report no major tumbles or spills occurred while filming the figure skaters. It was exhausting but totally worthwhile work, as you can see from the finished product. This entry was written by paulhanges and posted on January 19, 2010 at 7:41 pm and filed under New Content, Talent. Bookmark the permalink. Follow any comments here with the RSS feed for this post. Trackbacks are closed, but you can post a comment. I love this starring you video! Michael Buble and I look fantastic doing Lloyd & Choeleen’s moves! Plus, I totally rock a tiara! Thanks JibJab.